If you love blackberries and cocktails the way I love blackberries and cocktails this is going to make for a very happy Happy Hour! By the by, leave out the sugar and you have Homemade Blackberry Vodka! Combine all the ingredients together in a clean, sterilized infusion jar or mason jar, refrigerate and let them all get happy together for about 2 weeks. Shake the bottle up whenever you open the fridge to encourage more happiness. Taste test every day after the first week to check the depth of flavor. When your infusion has met with your approval simply strain the mixture through a fine sieve into a decorative bottle. 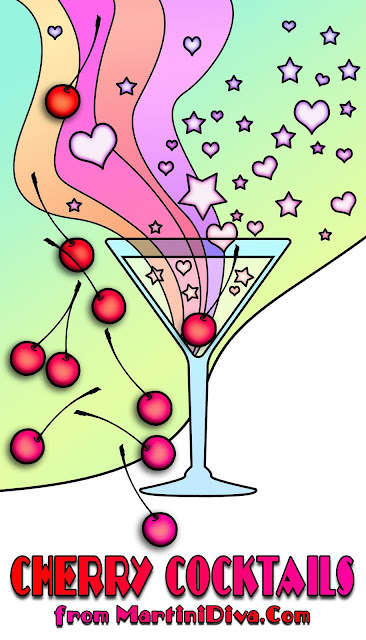 Add a fun Cocktail Themed Label and enjoy or give as a gift! If you want to infuse your Blackberry Vodka a little faster you can muddle some of the blackberries, but you might have to strain the mixture a bit more aggressively to get out all the little blackberry bits. If I'm giving this as a gift I like to leave the blackberries whole and leave them in for a prettier presentation. TIP: Don't throw out the vodka infused blackberries! You can spoon these over ice cream or cake and even blend them up for a quick boozy blackberry coulis! 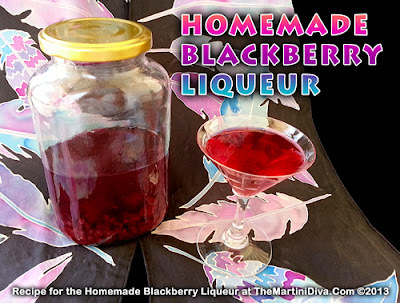 Let me know what wonderful cocktails you make with your new Blackberry Liqueur! Send Photos & I might even post them up for all to see!